During the final satellite integration training for Jordan’s first satellite, JY1-SAT, the team was supported for the final stages of integration by His Royal Highness Crown Prince Al Hussein bin Abdullah II. The spacecraft has been given to students of the Masar Initiative at the Jordan University of Science and Technology as part of the JY1-SAT mission support and training program under the Crown Prince Foundation given by ISIS – Innovative Solutions In Space and AMSAT UK and AMSAT Netherlands,. 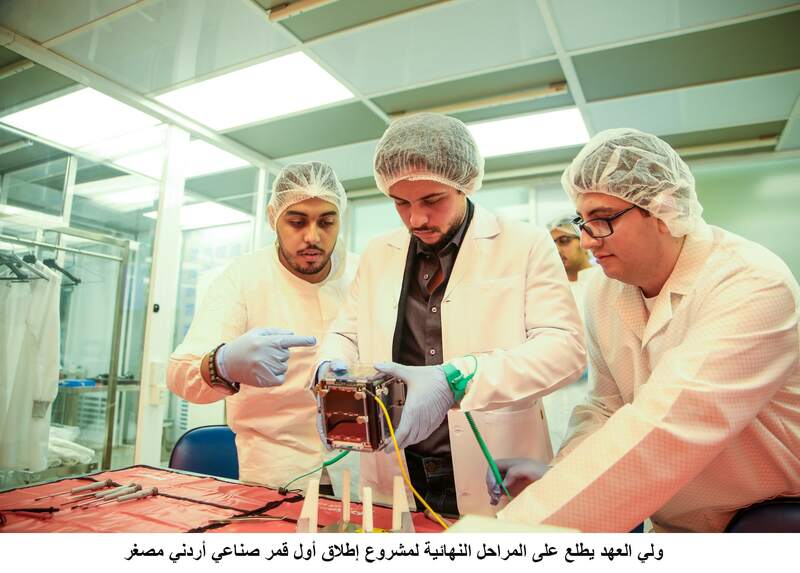 The JY1-SAT mission was proposed by Jordanian students who participated in the first batch of the cooperation program with NASA, after which the interns had suggested the design and launch of the first Jordanian satellite CubeSat. 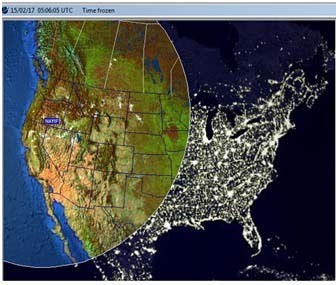 To build up the capability to design and develop such a first mission, the Crown Prince Foundation signed a support agreement with ISIS – Innovative Solutions In Space and the AMSAT Radio Amateur Societies of the UK and the Netherlands, for hardware and training support, building on ISIS’ and AMSAT’s experience with FUNcube radio amateur transponder missions. 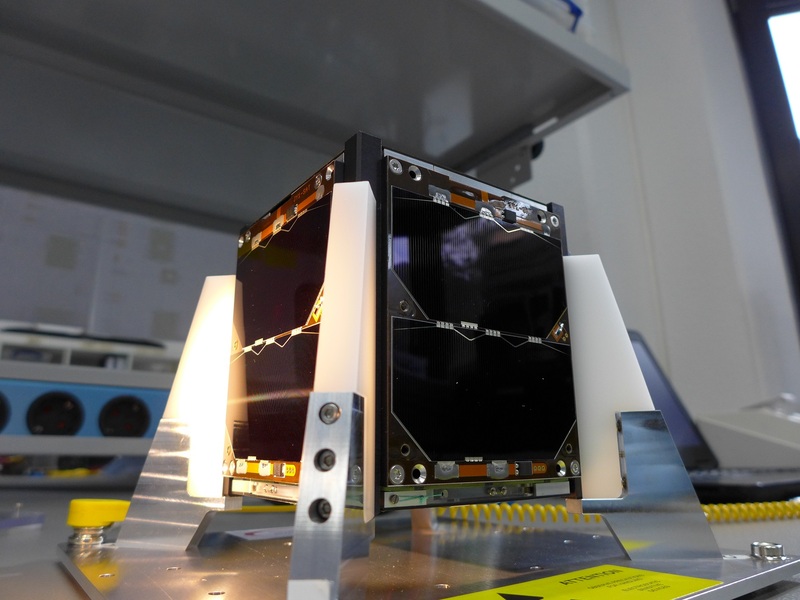 As a special development for the JY1-SAT mission, AMSAT has expanded the capabilities of the FUNcube transponder to be able to transmit stored images reflecting the Jordanian culture and its historical heritage, along with a voice message recorded by the Crown Prince to be transmitted in space to receivers around the world. The launch of the JY1-SAT, scheduled during the first half of next year, is in memory of His Majesty the late King Hussein, the first founder of the HAM Radio in Jordan and holder of call sign JY1. Nayif-1 was successfully launched at 03:58UTC on February 15th 2017 and good signals were soon heard by stations in North America. We are pleased to be able to confirm that the first telemetry was submitted to the warehouse by Christy Hunter, KB6LTY, who will be receiving a specially produced Nayif-1 lapel badge and woven mission patch. Many thanks to everyone who was listening and sending reports, recordings or submitting data. The satellite looks to be in perfect health and it was placed in autonomous mode before the end of the first day in orbit. Just like FUNcube-1, this mode has the spacecraft sending high power telemetry when in sunlight and with the transponder active when in eclipse. Already many contacts have been made through the transponder. As expected, the frequency stability of this spacecraft is much better than its predecessors. 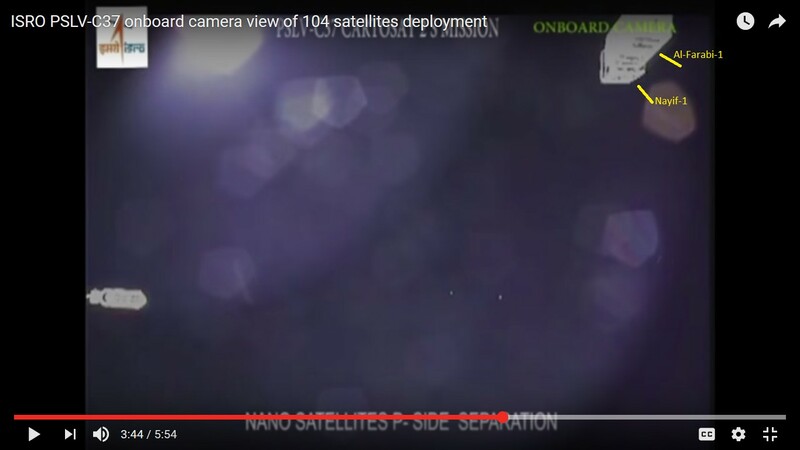 The launch provider has published a video of the deployment of the 104 satellites. https://youtu.be/3KqTr1oNYwk The image here shows Nayif-1 just after deployment from the launch vehicle. Our world-wide network has greatly impressed the many professionals that have been watching our activities. Already more than 100 ground stations are submitting data to the Nayif Data Warehouse. Please continue uploading the data as this will further enhance our knowledge about the spacecraft and the space environment through which it is travelling at 7.6 km/s. The Data Warehouse has been updated and can be seen here: http://data.amsat-uk.org/nayif1/index It now includes the Whole Orbit and High Res graphs and the upload ranking. It also includes telemetry details from the ADCS sub-system – this is called the iMTQ and is capable of actively magnetorquing. Over the coming days, we will be further tweaking the warehouse, so bear with us if it is unavailable for short periods of time. A reminder that if you are already a registered user of the FUNcube Dashboard then you do not need to re-register. Your existing details will transfer automatically to the new Dashboard when you run it for the first time. We now expect that the FUNcube transmitter on Nayif-1 will activate at approximately 04:47 UTC Feb 15th. (NB – This is a revised AOS and it is still Tuesday evening in America!) Initial transmissions will be in “safe” mode and will be of the 1k2 BPSK telemetry only with approx 50mW of RF power on 145.940MHz. At this time the spacecraft will still be over the Southern Pacific Ocean but AOS in Mexico is expected at around 04:54 UTC and the first pass will then track northwards in range of stations situated in the western US and Canada. During the Launch and Early Operation phase (LEOP) of the mission, t he Nayif-1 command team will be headquartered at the American University of Sharjah Ground station in the United Arab Emirates. They will obviously be especially keen to have all possible reports of signal reception during this first orbit! 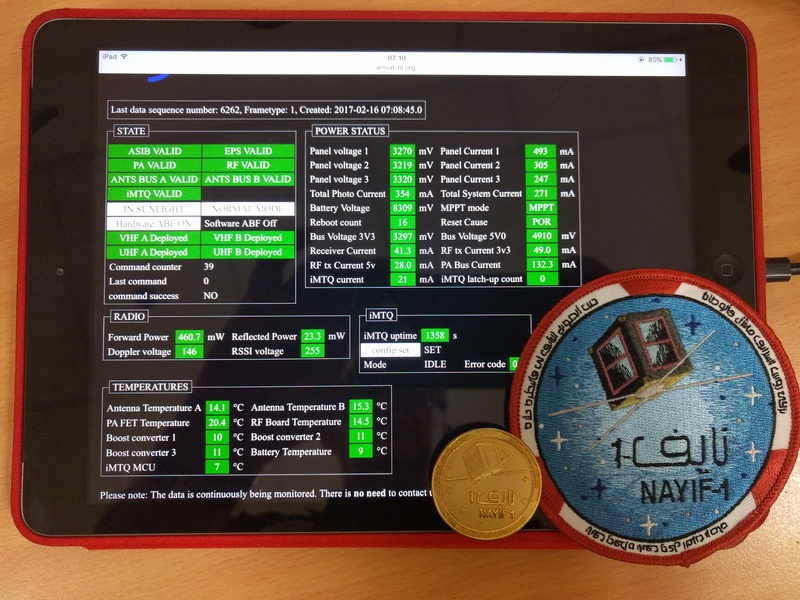 To encourage everyone to take part, there will be a small prize for the stations that submit the first data to the Nayif-1 Data Warehouse. Please help the team if you can. If you run the test file with the Nayif-1 Dashboard please do not expect the Warehouse to show the data – it is from an earlier date than that is already displayed. 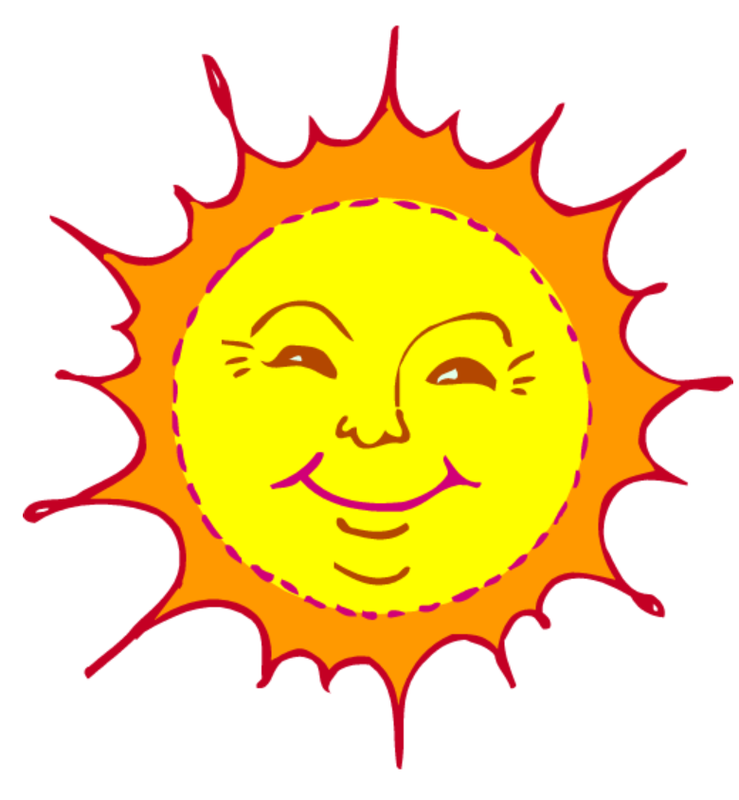 However the “packets uploaded” tab at the bottom right corner of your Dashboard will show that the files have uploaded OK, that all is well with your system and that it is ready for action. The AMSAT-UK and -NL team will also be using the #funcube IRC channel on launch day and you will be very welcome to join them there. If you do not have the Dashboard available then also please submit your heard reports via IRC as well. A web client can be found at http://irc.lc/freenode/funcube if you do not have an IRC client installed.